How to Share the Customer Service Tip of the Week — Toister Performance Solutions, Inc.
Each Monday, I send out an email with a weekly customer service tip. I call it the Customer Service Tip of the Week and it's available to anyone who subscribes. One of the things I like best about it is the direct connection with subscribers. Anyone can reply to the email and their response goes directly to my personal email. People send me questions, share successes, and even pass along interesting or unusual stories. I recently asked my subscribers to tell me how they share the weekly tips with their teams. Here are a few of the responses I received. "We meet weekly with our CSR team to train on new processes and review existing processes. In that training, we always include a ‘soft skills’ portion and a team building section. Frequently your weekly tip is what we train on for our soft skills, and the activities you mention are also really great to tie in to our team building section as well." My take: It's a best practice to have regular team meetings like Ariana does. The Customer Service Tip of the Week is a great way to generate discussion topics. "I am in charge of a technical support team (no face to face support). I forward your emails to my team when I feel the topic is relevant and when I feel it would be useful to them. You have a lot of great tips but they don’t always translate well to phone support with agents who have no authority to issue refunds or anything of that nature. If I forward your email, I often follow up with my team during our team meeting to see who has read it, what the post was about and how it can help them provide better support." My take: We can easily get overwhelmed with information, so I like how Mélanie curates the most relevant tips for her team. The follow-up discussion also make the tips extra meaningful. "I run a Service Management Team for a Financial Services Technology Company. My mission is to keep 'service' in the forefront of every associates' mindset regardless of their role within our company. We use SalesForce and within SalesForce, there is a tool called Chatter, which I use your weekly updates to share with all associates. My take: A number of leaders have told me they share updates via Chatter, Slack, and other internal communication tools like Amy does. The advantage here is it allows for comments and discussion. 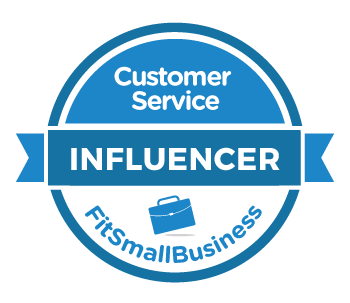 "I share some of your customer service tips and blog posts in Pennsylvania State Universities' weekly blog posts and training emails." My take: It's hard to come up with relevant content on a regular basis, so I really like Carmen's resourcefulness. You are free to use my weekly tips in your internal newsletters, blog posts, etc. All I ask if you attribute them to me or Toister Performance Solutions. "I usually forward the emails to my team and have them respond with one strategy they will incorporate into their workday." My take: This is another great example of turning a piece of content, the weekly tip, into an opportunity for dialogue with the team. Warning: if you use your email software to forward the email and the recipient clicks "unsubscribe" they will be unsubscribing you! You do have the option of having employees subscribe to the Customer Service Tip of the Week themselves so you don't have to use the special link each week. I've gotten a mixed reaction from customer service leaders on that topic. Some feel employees already get a lot of email and might ignore it if the leader doesn't forward it or prompt some form of discussion. Others think it's helpful to have employees get the tip directly so forwarding the email becomes one less thing they have to do. The key here is to do what works best for you and your team.